My Maps Location 4.1 has now arrived with brand new packaging. The Joomla component has been revamped with brand new graphical layouts that are optimized both for laptops and computers, as well as for handheld devices, like mobiles and tablets. 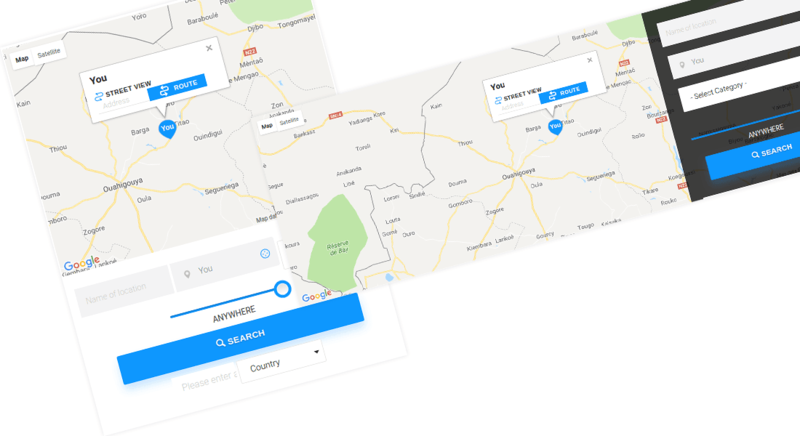 All of My Maps Location’s features are untouched, but this article will take you on a tour of the Joomla component’s new home. The major introductions to My Maps Location are three new designs to the search functionality. The layout to use is entirely up to you, but the designs cater to different websites and their space constraints. Furthermore, the redesign is dynamic and automatically adapts to the user’s device. The Maps layout can be chosen from the My Maps Location Settings tab when you create a new page. Three different layouts are available to choose from - the simple, sidebar and full width themes. 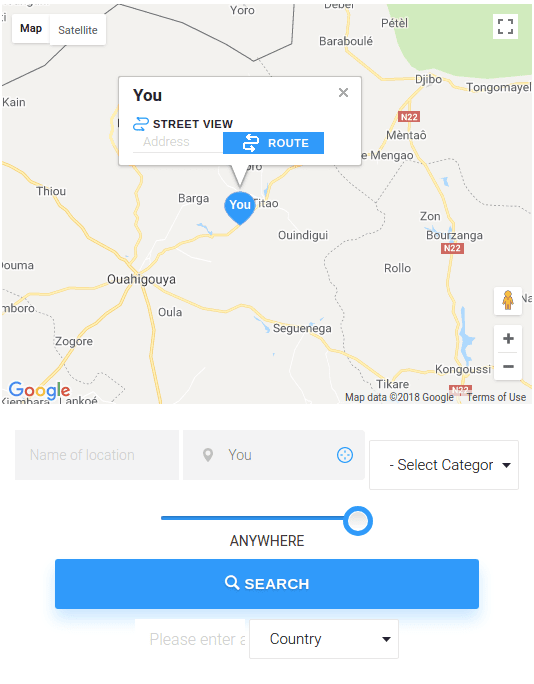 The simple layout allows users to search for locations on top, and displays results below. This layout prioritizes the user’s location. Indeed, users can hone in on their location by clicking on the Geolocate Me button. Alternatively, they may search by inputting location details manually. The locations are then shown below. In contrast with the simple layout, the sidebar theme puts the actual map in the limelight. Searches are still on top, but users can search the map manually by drag-and-dropping, or search as usual from the sidebar. Users can also find their location from the sidebar. Furthermore, if they want more space for the map, they may collapse the sidebar. Similarly to the simple layout, all results are placed underneath. The final design exploits the whole width, and it is ideal for minimalistic websites with a clean layout. The map is set to occupy as much space as possible, with the search options lying just below. The search results below, which are returned by My Maps Location, have also been revamped. When your Joomla users click on search results from My Maps Location, they expect more information. The latest redesign includes all of the information that you provided for locations in one clean page. With the map on the left, users can quickly plan their travels. On the right, the image can be used to show your customers what to expect when they get there. And just below, you can list the opening hours. Below the info-box, My Maps Location also leaves space for a short description. It is recommended to never judge a book by its cover, but eye-candy makes everything better. The new layouts presented in My Maps Location 4.1 do not just put your company in the best light, but allow you to customize it to fit right in with your brand. Great to see your dev of Joomla maps integrated with tags and mobile focus too. I will certainly use many of your Joomla products that now have reached great maturity and great end user value functions! Hi ! Great to see your dev of Joomla maps integrated with tags and mobile focus too. :D I will certainly use many of your Joomla products that now have reached great maturity and great end user value functions! Cheers!